Your celebration will be as unique as unforgettable. We work at all times so you can have a wonderful day. Every Datail is personalized for your celebration. 10 songs for the first dance as spouses! 3 Tips for Your Wedding in Cartagena! Why should I marry in Cartagena? The winner of the 3rd place as the best tourist destination in Latin America by the magazine Code Nast Traveler, Cartagena is positioned in the first place of the best wedding destinations in South America. Its rich gastronomic, cultural and architectural wealth allows that in this magical city can be made from the most luxurious marriages for hundreds of guests, in the most sophisticated hotels in the city, to simple symbolic ceremonies on the beach to renew vows in the company of some friends. 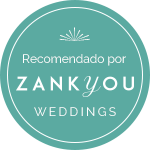 Cartagena de Indias is the perfect place for the ceremony and reception of your marriage to adapt to your personality and you can do the ceremony of your dreams.